This is one of the biggest and most intense open brackets in Call of Duty history. The open bracket at the Call of Duty World League New Orleans Open is one of the largest in the history of the esport. With hundreds of squads competing, any team inside of the massive structure had a shot at making a run all the way to the championship bracket. But with the first day of the event nearly finished, dozens of teams’ hopes have been dashed. There are only 16 undefeated teams that remain, and by lunchtime tomorrow in Louisiana, there will only be four. Four is the magic number when it comes to the open bracket. There will be four undefeated teams at the end of the open bracket, and they each will advance to pool play to battle against their four pool opponents once. There will also be four one-loss teams when the open bracket is all said and done. Those teams will automatically be placed into the championship bracket, but in the losers side. They will be matched up with the four worst teams in pool play in the first round of the bracket. With the amount of teams, and the combination of their competitiveness and skill, it’s sometimes a tossup to predict which teams will survive the open bracket. Just as we saw at the CWL Dallas Open last month, anything can happen when teams play best-of-three series against similarly-skilled opponents. And in the case of CWL New Orleans, we saw more than a few upsets on day one. Arguably the biggest one was Ghost Gaming, who were a Global Pro League team in Infinite Warfare and a pool play participant at CWL Dallas. 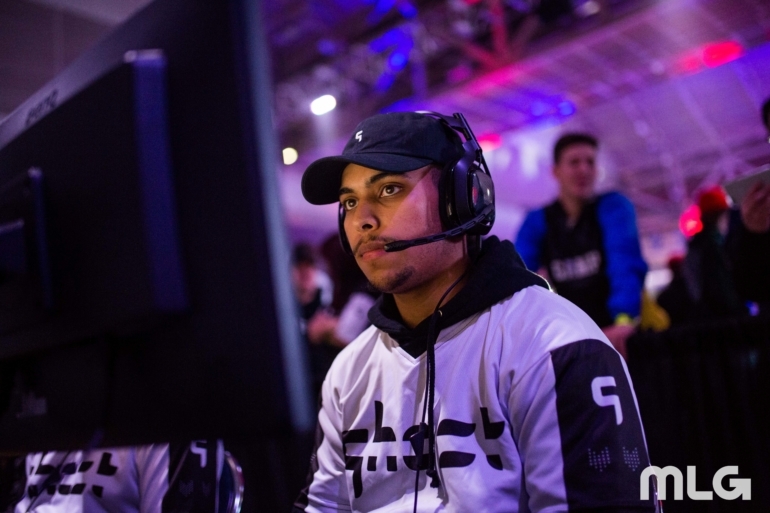 Ghost were knocked into the losers bracket in round four following a 2-0 loss to Lethal Gaming. Rockets Esports also fell in a game many projected that they’d win. In round three, Rockets were swept by Fury Gaming. And in the losers bracket, Rockets continued to struggle. After beating Ethereal Esports, Rockets were eliminated from the tournament with a top 80 placing following a loss against Evil Within. It wasn’t any easier for the Europeans as exceL, Renegades, and Brash Esports were all taken down in the winners bracket early on. ExceL were defeated by Bound Esports in round four, while Renegades fell to Cyberstorm in round three and Brash lost to Urban Assault in the same round. All three teams are still in it, but they will have to play flawlessly the rest of the way to make it to championship bracket. Ghost and exceL are destined to meet in round six if both teams win their opening matches on Saturday. Although there have been many more upsets, one of the teams causing them is Defy Rebellion. A relatively unknown team, the No. 72 seed took out one of the top EU teams in the bracket, Team Heretics, and the strong NA team Armada Esports en route to their round five meeting with Lightning Pandas tomorrow morning. The eight winners bracket matches to kick off Saturday have been determined. CWL New Orleans open bracket action resumes Saturday, Jan. 13 at 10am ET.